a project is sometimes the very hardest part. Next up on my to-do list is the front porch floor. The longtime owner of this house used to paint it every year. I’m sure it has been 10 years since it got such attention. 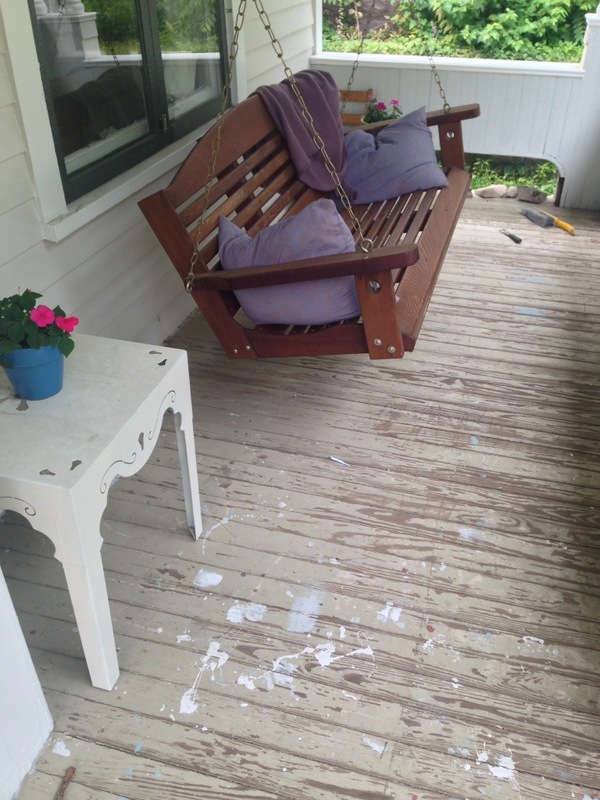 The paint is falling off and the wood is bowed. It should actually be replaced, but we have no time for such things. Maybe in a few years. For now the plan is to scrape it, clean it, prime it and paint it. As it is now, it is really detracting from the street view of the house. I can’t wait to see the finished project. I have a feeling it will make a huge difference. That really doesn’t look too bad. If you sand the bare spots down to clean wood, it should hold up well. 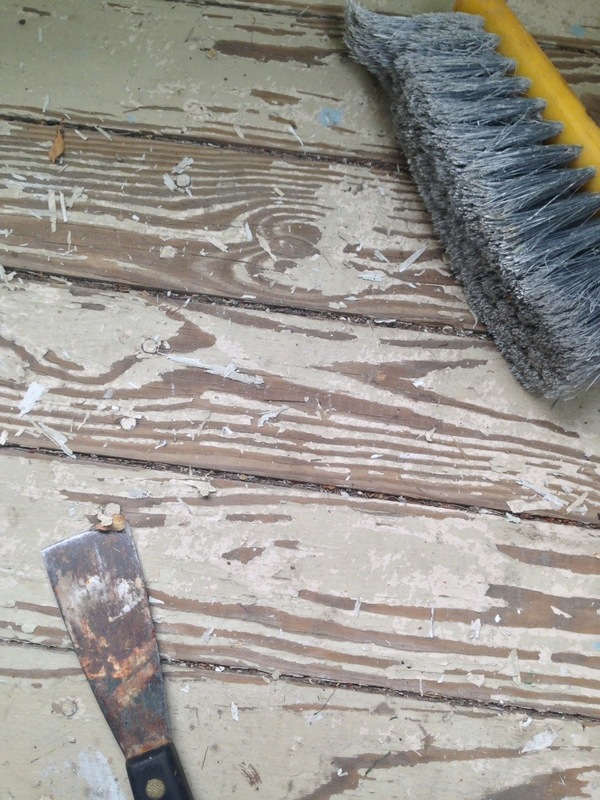 I’m still trying to figure out the best paint for our porch floor. What did you use?